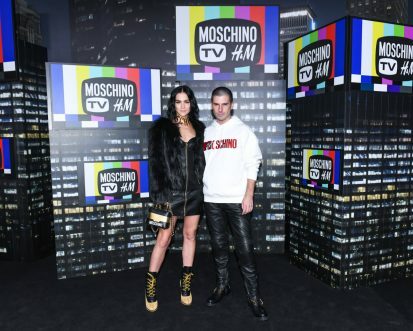 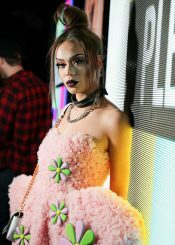 H&M has launched its collaboration with Jeremy Scott of Moschino, Moschino [tv] H&M, at a party in New York on October 24, with Paris Jackson, Frances Bean Cobain, Miles Richie, Coco Rocha, Kiersey Clemons, Bebe Rexha, twins Cailli Beckerman and Sam Beckerman, blogger Danielle Bernstein, Aquaria, Sergio d’Arcy Lane, Amiaya, the Misshapes’ Geordon Nicol and Leigh Lezark, Luis Borges, Nick Champa and Pierre Bouvier, Takahiro Tasaki, Marc Jacobs and fiancé Char Defrancesco, Mj Rodriguez, Vogue’s Hamish Bowles, Mia Moretti, Roy Wang (王源), and Indya Moore among the guests. 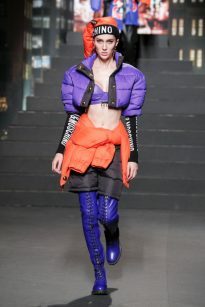 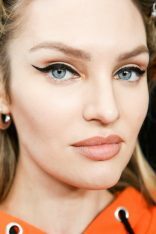 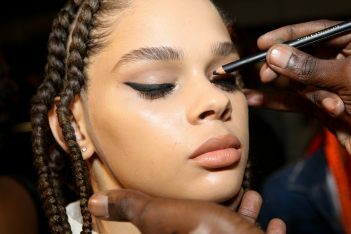 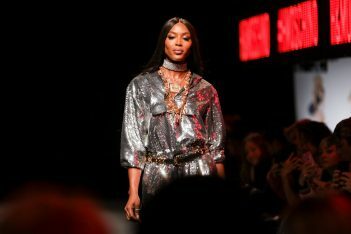 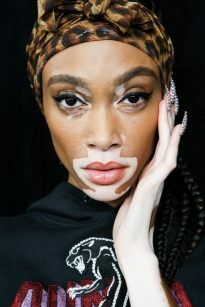 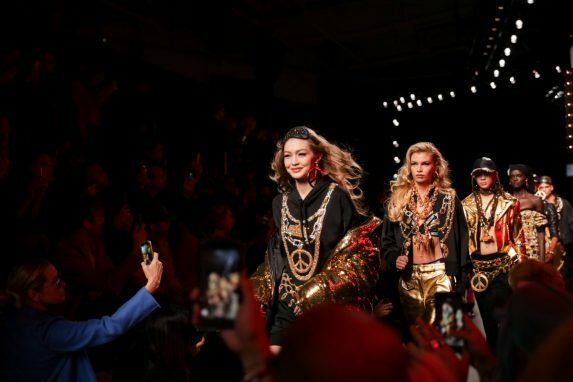 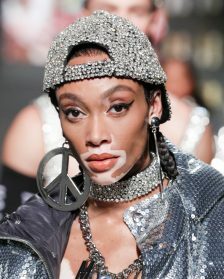 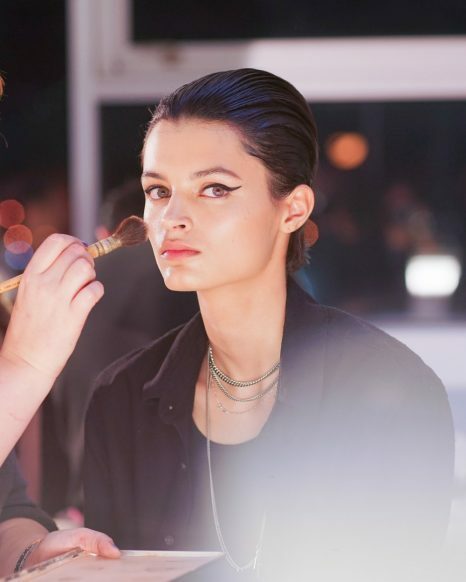 On the catwalk was an international cast: Gigi and Bella Hadid, Isabeli Fontana, Stella Maxwell, Candice Swanepoel, Soo Joo Park, Winnie Harlow, Joan Smalls, Taylor Hill, Imaan Hamman, Barry Lomeka, Hiandra Martinez, Duckie Thot, Denek K, Salomon Diaz, Isabella Emmack, Dilone, Radhika Nair, Anwar Hadid, Hoyeon Jung, Davidson Obennebo, Anyelina Rosa, Cayley King, Theodora ‘Teddy’ Quinlivan, Aiden Curtiss, Cara Taylor, João Knorr, Birgit Kos, Sora Choi, Luna Bijl, Jhona Burjack, Gong Guohao, Charles Oduro, Grace Elizabeth, Alexis Chaparro, Trevor Signorino, Meghan Roche, Yasmin Wijnaldum, Noah Luis Brown, Mitchell Slaggert, Zhengyang Zhang, and supermodel Naomi Campbell, among others. 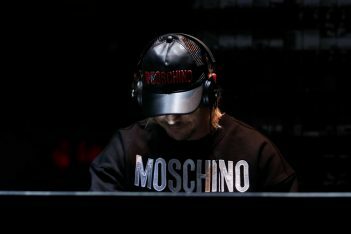 The after-party, meanwhile, was led by Grammy Award-winning producer and artist Diplo. 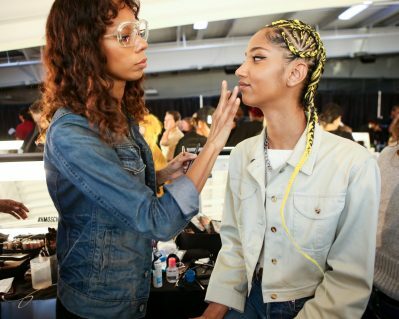 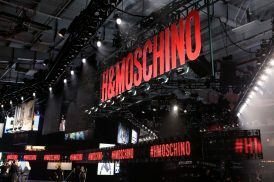 The catwalk was lit like Times Square in Manhattan, while the models entered via a staircase reminiscent of an old Broadway musical. 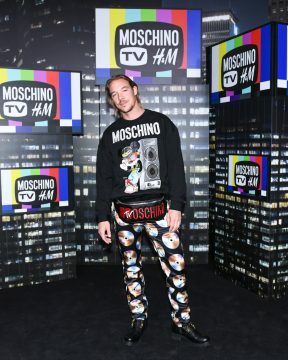 After the show, Diplo was revealed as the billboards framing the catwalk rose. 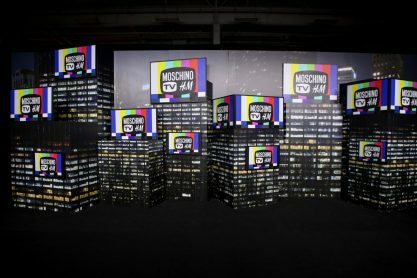 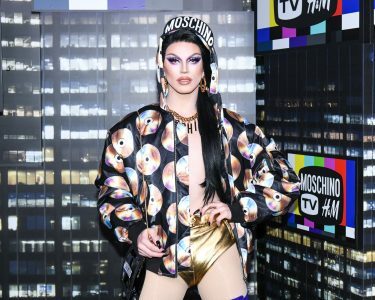 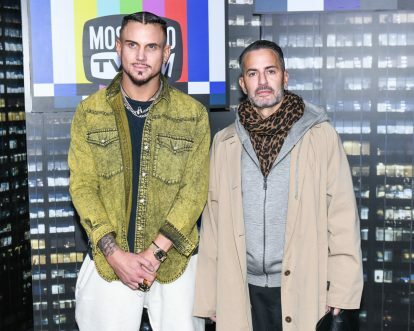 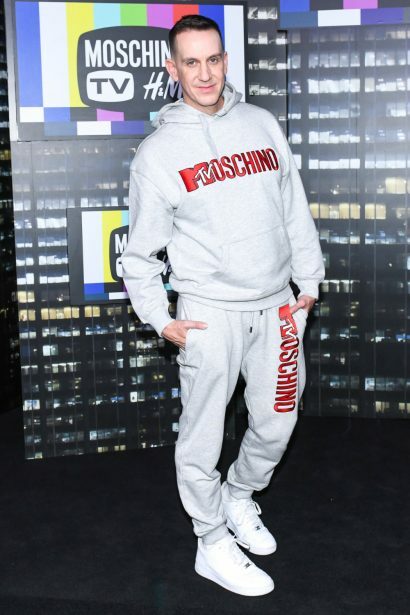 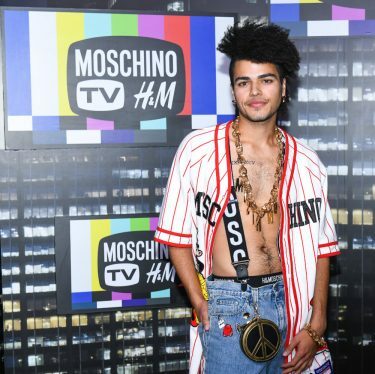 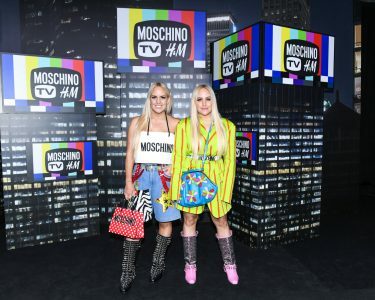 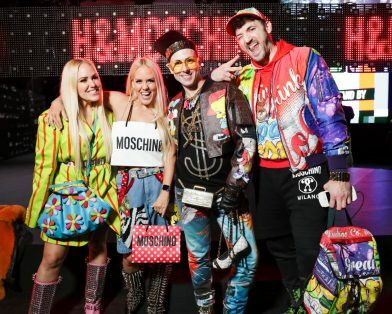 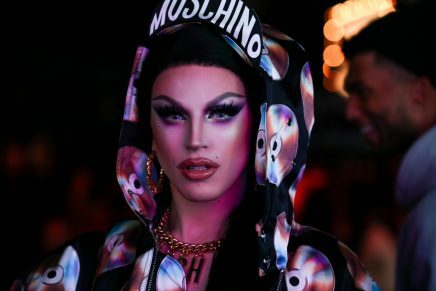 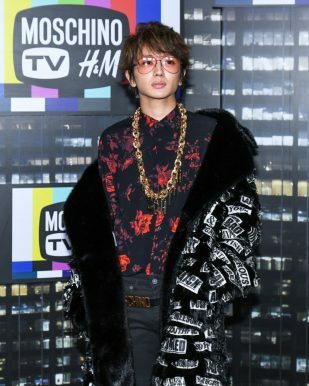 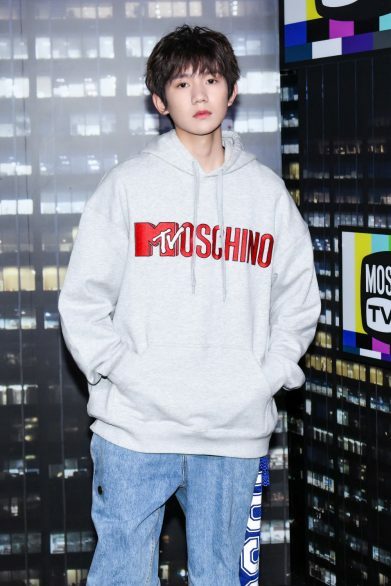 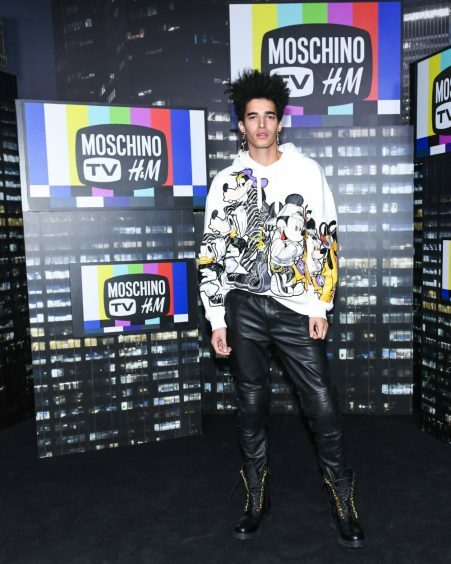 There was also a pop-up Moschino [tv] H&M store at the event, where guests could buy the clothes immediately after the show. 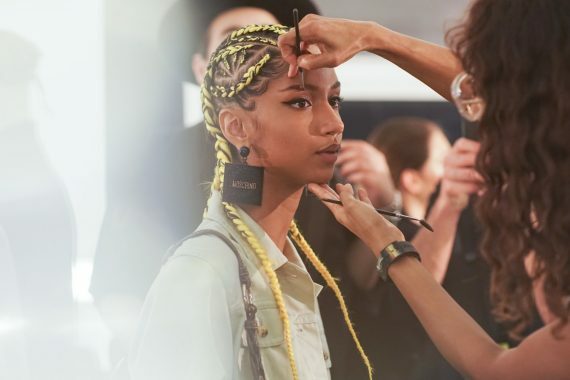 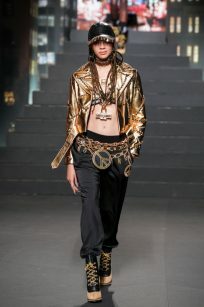 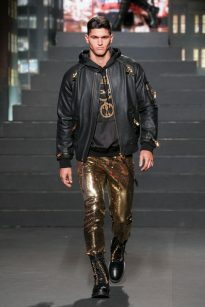 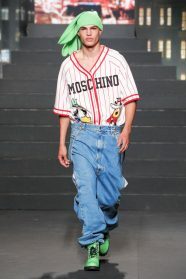 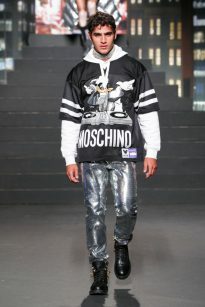 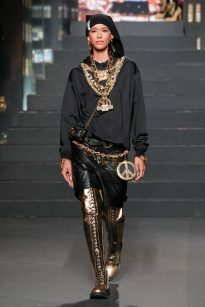 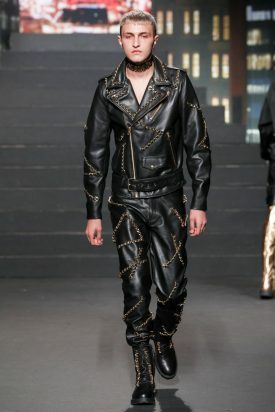 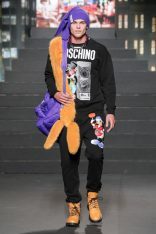 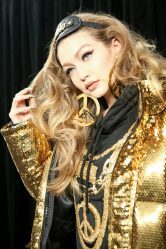 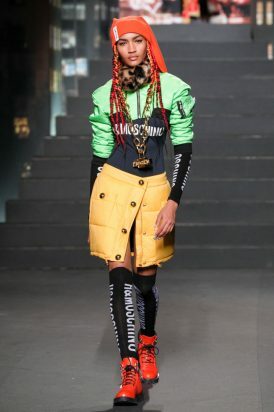 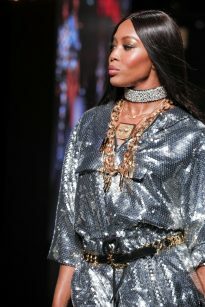 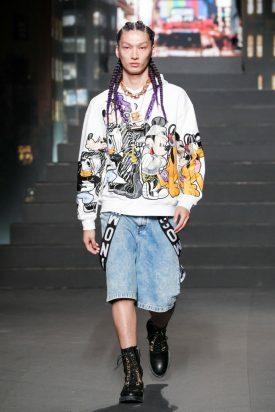 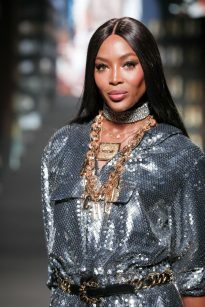 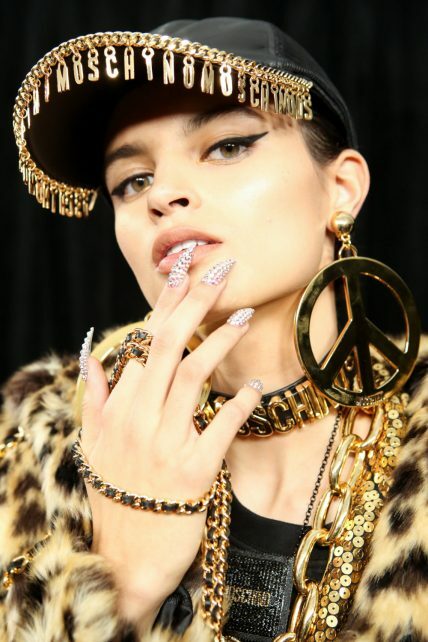 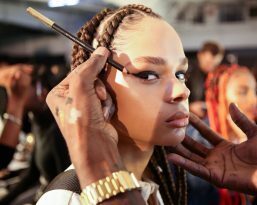 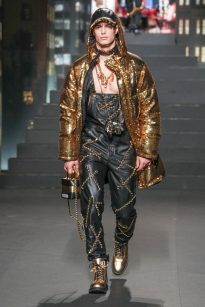 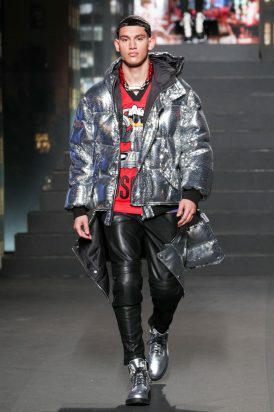 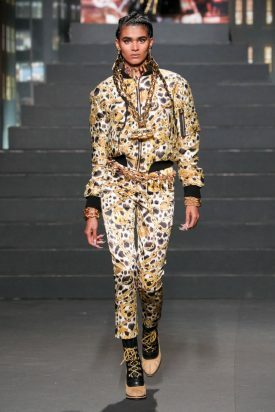 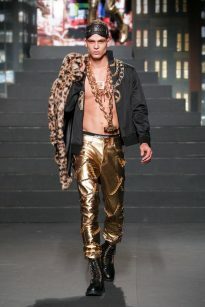 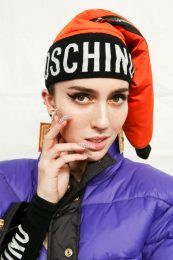 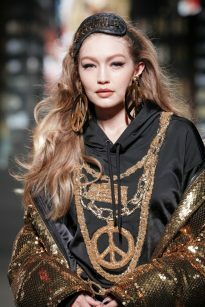 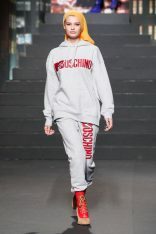 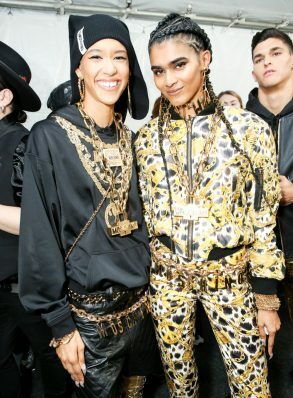 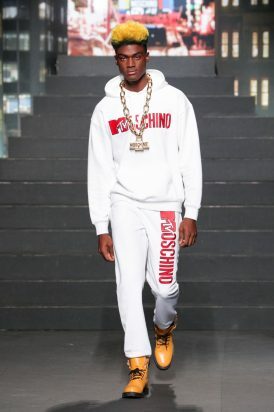 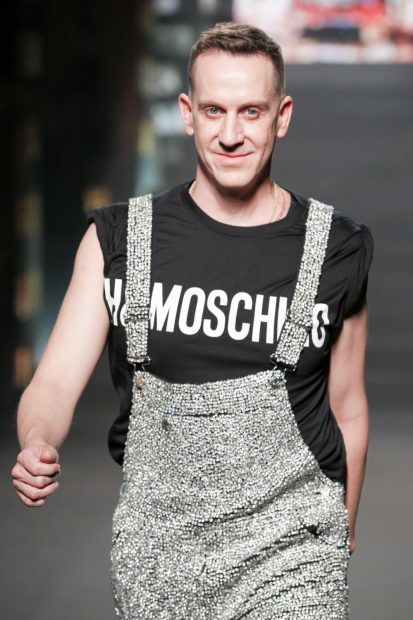 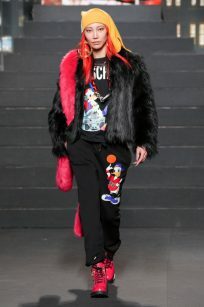 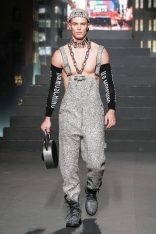 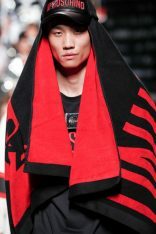 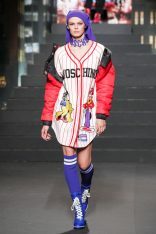 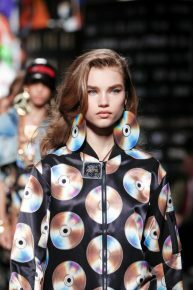 with hip-hop-worthy amounts of bling-bling to create a totally Moschino look,’ said Scott. 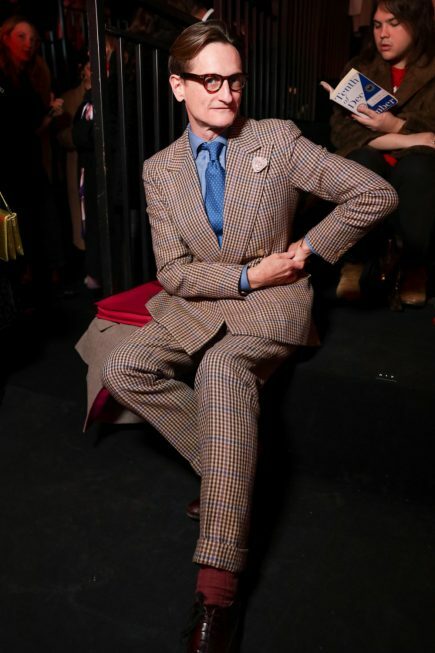 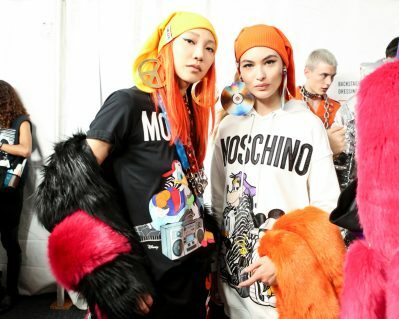 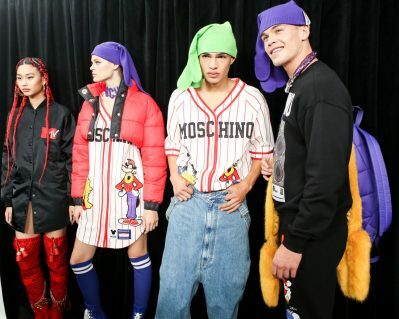 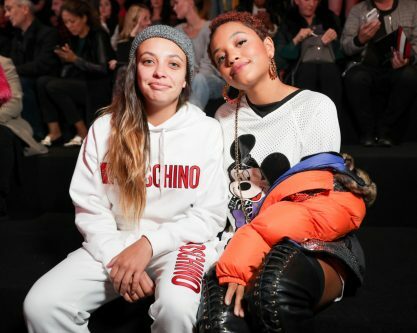 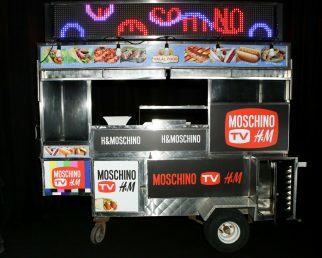 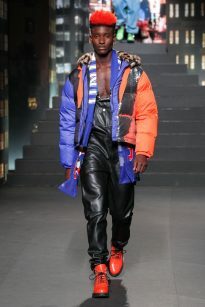 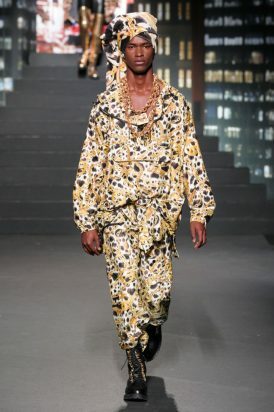 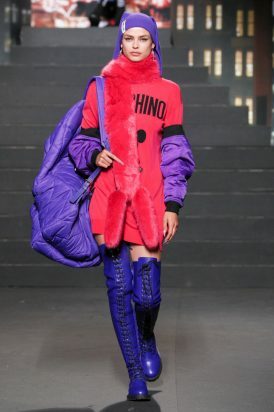 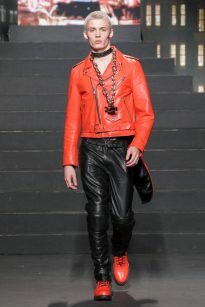 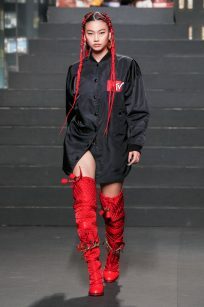 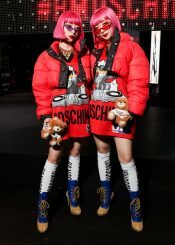 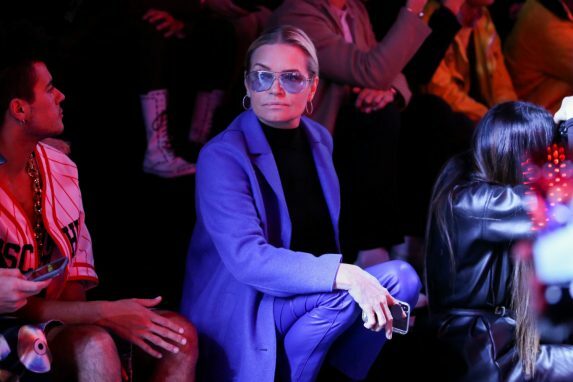 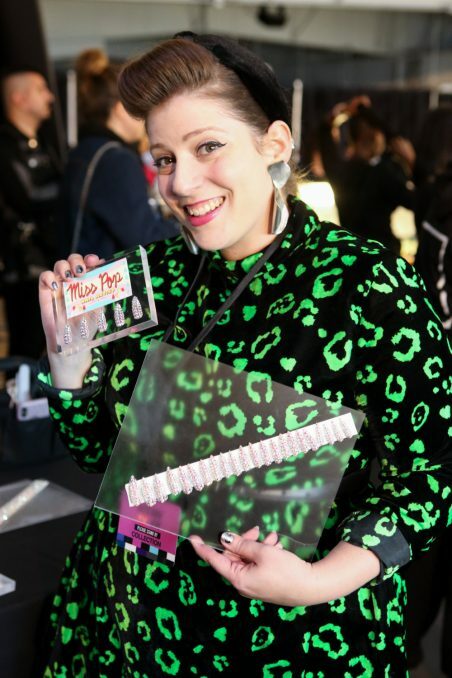 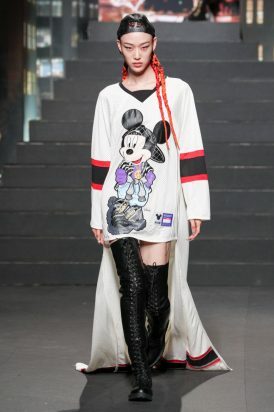 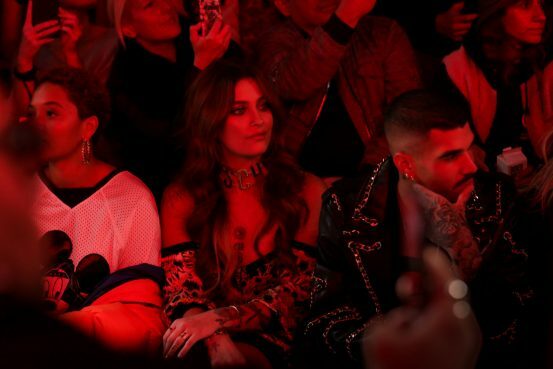 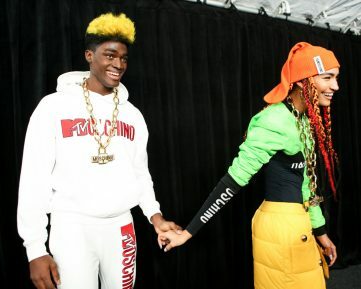 ‘We had so much fun being transported to Jeremy’s Moschino world at the Moschino [tv] H&M show. 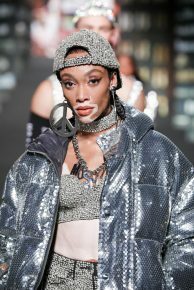 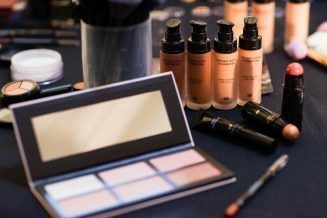 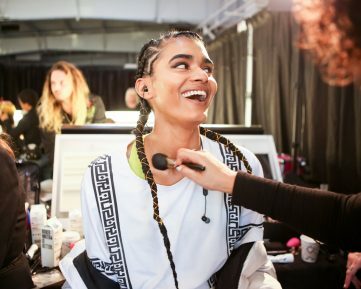 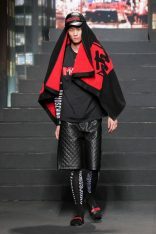 It captured the positivity, sense of humour and joy that is in every single piece of the collection,’ said H&M creative adviser Ann-Sofie Johansson. 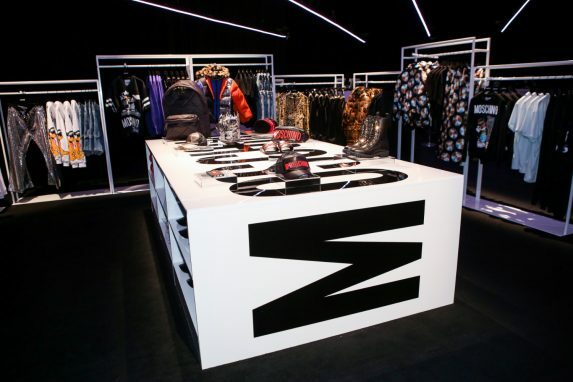 The collection hits selected stores worldwide on November 8.